A beach in Palawan has been named as third best beach in the world for 2018. PALAWAN, Philippines — For its protruding limestone cliffs “shooting out of the turquoise-blue lagoon straight to the sky,” Hidden Beach in El Nido, Palawan has been voted as the number one beach in Asia and the third best beach in the world by over 1,000 journalists, editors, travel bloggers and agencies that reportedly participated in a recently completed survey. According to the poll conducted by Canada-based online travel company Flight Network, Hidden Beach is the only Philippine beach that made it to the survey’s World’s Top 50 Beaches list voted by travel experts and enthusiasts, reportedly including journalists and editors from Lonely Planet, Forbes, Daily Mail, BBC News, LA Times, Conde Nast Traveler, and National Geographic Traveler. “Flight Network consulted these travel professionals to rank the best beaches in the world, based on their personal and professional experiences. We received unparalleled insight into the most spectacular beaches on earth,” the online travel company said in its website. The company has listed on its website the names and social media accounts of everyone who allegedly participated in its survey, including at least one Filipino travel blogger and a Philippine Airlines representative. Upon completion of the voting process, the network’s in-house travel experts analyzed and categorized the results. “The wild, vegetation-covered rock formations and crystal clear waters of Hidden Beach will make you feel as if you’ve been dropped into a movie,” said one of the poll’s participants, Sachin Aggarwal of Carlson Wagonlit Travel. 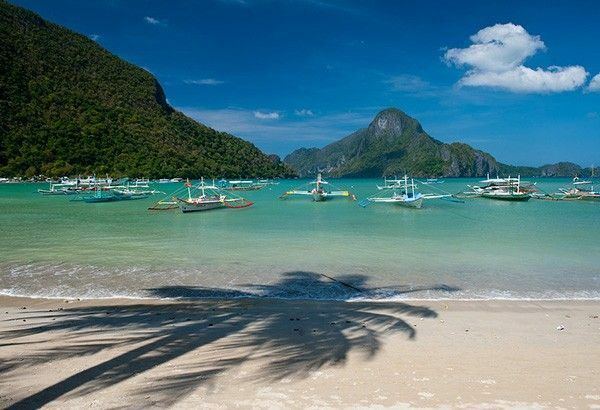 “Until somewhat recently, the only ones flocking to the remote El Nido island were the swiftlets who nest in the cliffs — hence the name El Nido, which means beach in Spanish. Now, all those who visit enjoy breathtaking views and world-class diving by day and luxurious resorts by night,” a description of the beach’s location said in the website. According to the network, the globally-recognized list aims to showcase a collection of off-the-beaten-path slices of paradise from every corner of the planet.